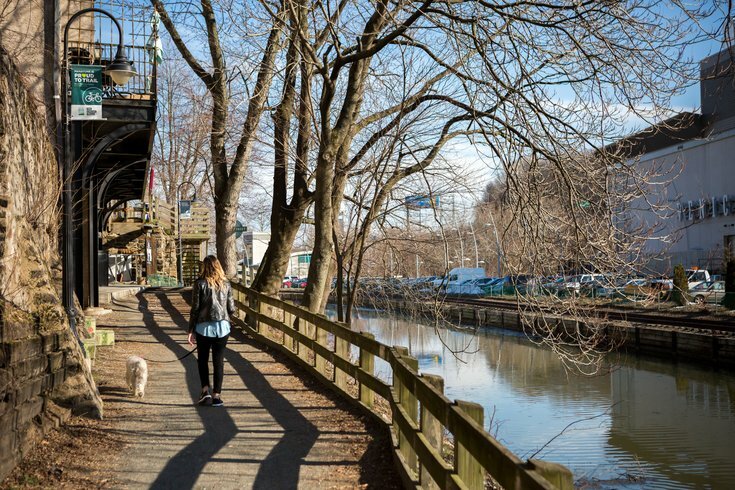 A woman walks her dog along the canal in the Manayunk neighborhood of Philadelphia. On Dasher, on Dancer, on Prancer and Vixen! The fifth annual Rudolph Run is happening Saturday, Dec. 8. Runners are asked to wear festive gear, like reindeer antlers and ugly sweaters, for the 3-mile fun run along the Manayunk canal. Red noses and bells will be given to all participants. New Balance is also bringing shoes for runners to test out, and will provide sweet treats at the finish. The holiday-themed run will begin at 9 a.m. Check-in will start at 8:15 a.m., at the Philadelphia Runner shop on Main Street. The race is free to attend with registration, but runners are asked to bring a canned good to donate. After finishing, runners can enjoy food and drink in Manayunk. Many neighborhood spots – including a smoothie and juice bar – will offer deals to Rudolph Run participants. Look for "Reindeer Stop" signs to know where to go.